Minimum Number of inches placed during contract period of 10 weeks. *Contract rates apply to local businesses only. 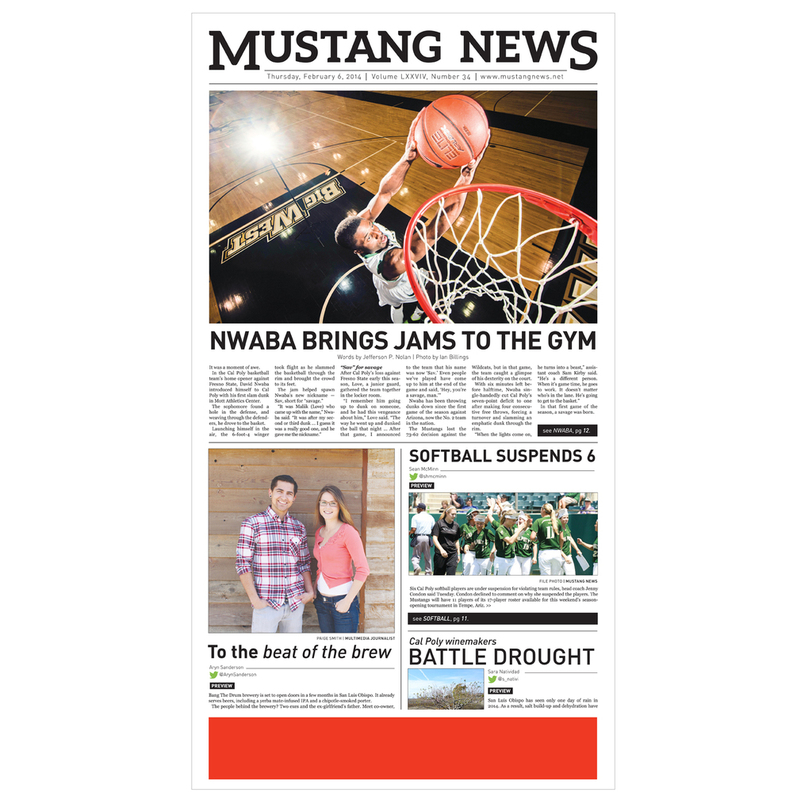 The structure of the Mustang News paper is adaptable. 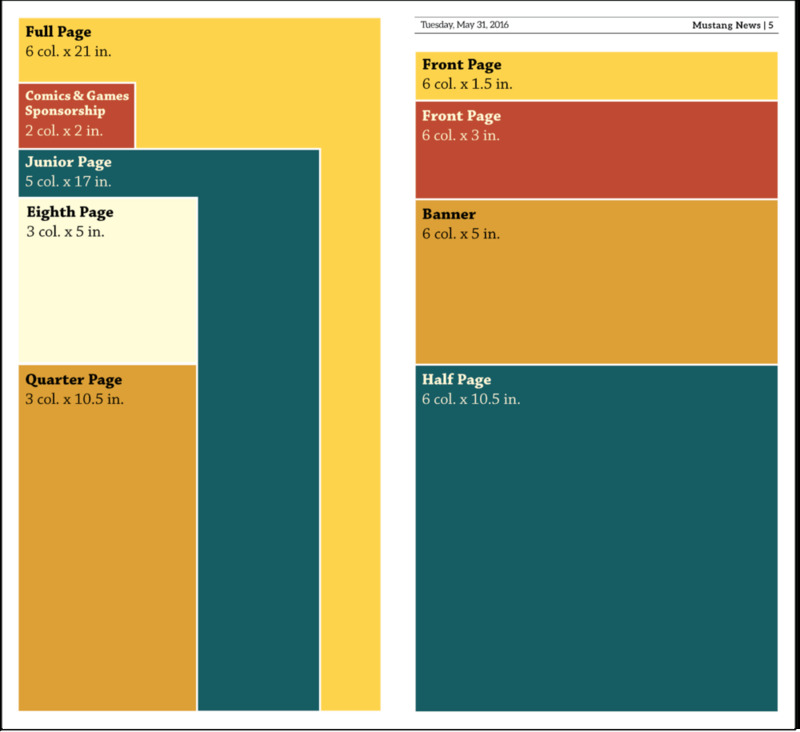 The staff designers can create ads to accommodate more sizes upon request. Showcase your business with a free-standing insert. Maximum size 11" x 17"
Please send inserts to UGS, set to arrive three days prior to publication. 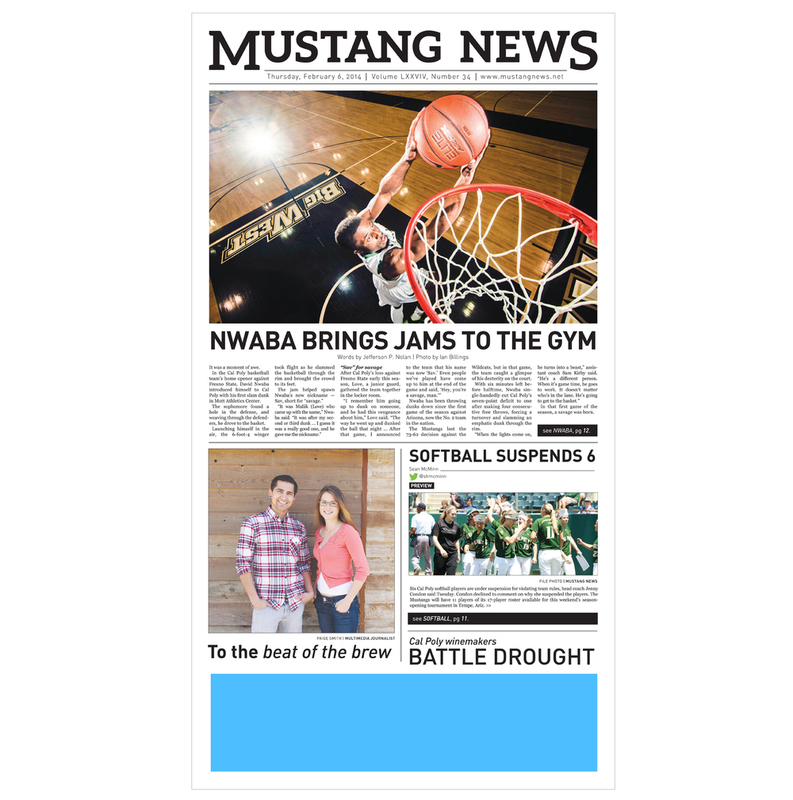 Advertise your business on the high-traffic news stands throughout campus.